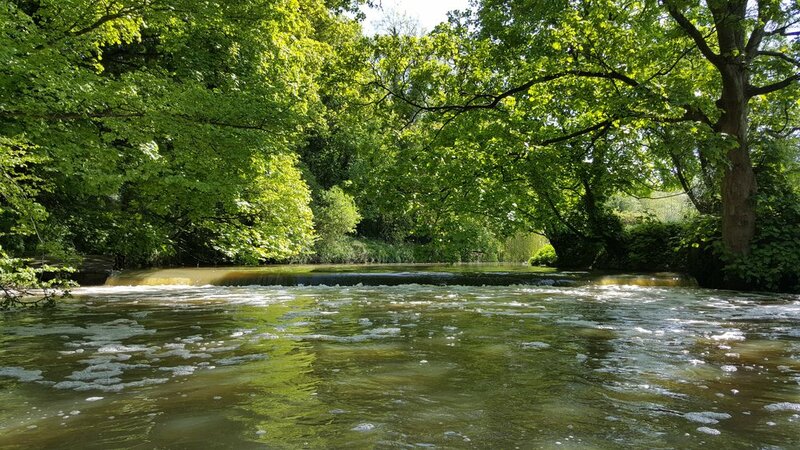 It was a beautiful day so I took one of our packrafts for a paddle down the River Mole in Surrey. I launched at the Stepping Stones under Box Hill. The water level was over the top of the stones which indicates the river is running high and fast, which was perfect. The map (left) shows my meandering route downstream for 7 km and then a 3km walk back in a fairly straight line through Mickleham. A small weir near Norbury Park Farm. I highly recommend stopping at the Running Horses in Mickleham on your way back. Route: Launch at the Stepping Stones under Box Hill (near Dorking). There is National Trust car park nearby. 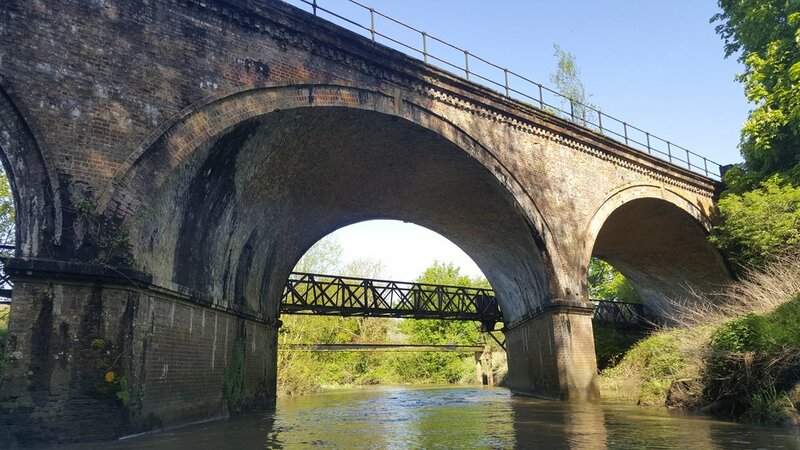 It's a very leisurely 2 hour paddle under multiple bridges to Norbury Park Farm (near Leatherhead). You can then walk back via Mickleham and the Running Horses pub (takes about 30 mins) or take the bus.